LOST EPISODE FESTIVAL PROGRAMME ANNOUNCED! Bloor Hot Docs Cinema, 11 June 2014 — The Lost Episode Festival Toronto (LEFT) announced today the programme of feature films, short films, live burlesque, and the 50 Hour Film Competition awards show, 5-6 July at The Bloor Hot Docs Cinema. Tickets are now available online at lostepisodefest.com/index.html#tickets, and will also be available at the venue during the festival. LEFT, which annually presents the festival in Toronto, Canada, selected the programming. The 2014 programme focuses on horror, and continues the aim from the previous year of presenting new work by independent filmmakers. LEFT will include 2 feature films and over 30 short films. Both feature films will make their Canadian theatrical premieres. The midnight programme will feature additional premieres, including international award winning horror short films, and a live performance from Nerd Girl Burlesque. The 50 Hour Film programme shows all of the horror shorts created in just 50 hours by local & international filmmakers at the 2014 competition, who compete for a chance to win over $14,000 in cash & prizes. For more info visit lostepisodefest.com or follow @LostEpisodeFest on Twitter. Storyline: A man with the ability to enter peoples' memories takes on the case of a brilliant, troubled sixteen-year-old girl to determine whether she is a sociopath or a victim of trauma. 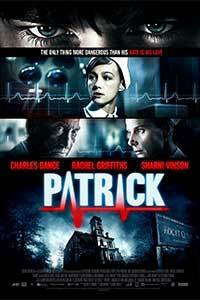 Storyline: When a young nurse begins work at an isolated psychiatric ward, she quickly becomes fascinated with Patrick, a brain dead patient who is the subject of a mad scientist's cruel and unusual experiments. What starts as an innocent fascination quickly takes a sinister turn as Patrick begins to use his psychic powers to manipulate her every move. Storyline: Barbara, Jill, and Tony have just escaped a zombie attack thanks to their '71 Cadillac. Unfortunately, Tony has been bitten and is about to turn. Quickly stranded in the middle of a zombie horde, Barbara won't let anything get between her and freedom, including losing every piece of her clothing. In this case, diamonds are not a girls best friend - a well oiled chainsaw is. LATE NIGHT PROGRAMME INCLUDES LIVE BURLESQUE! An original performance from the beautiful Loretta Jean of Nerd Girl Burlesque. Also Screens with BONUS Award Winning Short Films! Including: Fan versions of NIGHTMARE ON ELM ST, FRIDAY THE 13TH, HALLOWEEN & Much More! Outline: The 50 HOUR FILM Competition is a sleep deprived filmmaking marathon where filmmakers write, edit & direct a short horror film in just 50 Hours for over $14,000 in CASH & Prizes! 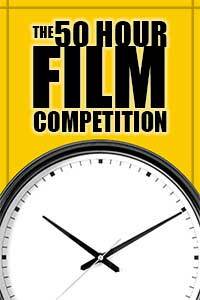 Each qualifying 5 minute short that was created at this years event will be screened, the audience will get to vote by ballot who they think is the best, and awards & prizes will be given out to each team immediately following the screening. Logos/Images for press are available at http://lostepisodefest.com/media.html. All photos may be copyrighted and may be used by press only for the purpose of one-time reproduction and only when including proper image credits and/or ‘Courtesy of the Lost Episode Festival Toronto (LEFT)'. Unauthorized use, alteration or reproduction of logos and photos is strictly prohibited. The Lost Episode Festival Toronto is supported by: SONY, Red Giant, Mill St Brewery, Blackmagic design, Boom library, Mixing Light, ACTRA Toronto, EditorsKeys, Rampant Design Tools, SamplerBanks, Celtx, Rue Morgue Magazine, FilmFights.com, Paupers Pub, Loopmasters, Shot Lister, RODE Microphones, Blood in the Snow, Online Video Contests, FXHome, Raindance, Bloor Hot Docs Cinema, Larocque Endowment for Filmmakers Toronto, Deluxe, and more. Copyright © 2014 LEFT, All rights reserved.